For those of you that have trouble tuning up, I’d always recommend getting a chromatic tuner. 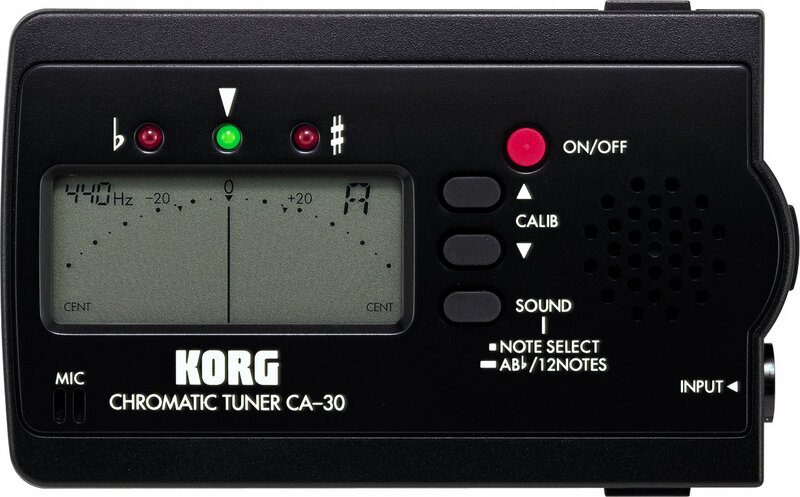 There are small handheld and clip on units such as the Korg CA-30, which I have used for years, as well as foot pedal tuners, such as the Boss TU-3 often used by performers. However there is a cheaper option for those with access to a smartphone. There are many tuner apps out there but the one that I use and would recommend is PitchLab (Lite). It’s a free chromatic tuner, with a variety of displays to suit most players’ needs. It can be downloaded here. Make sure that any tuner you use is set to 440 Hz, also known as concert pitch. Arguably even more important than being in tune, is a musician’s ability to play in time. Luckily it’s something that can be practised and for this we have the humble metronome, the world’s most boring but also most accurate drummer. Never late for your practise session and comes with a volume control. Again, for those of you with access to a smartphone, there’s an app for that. 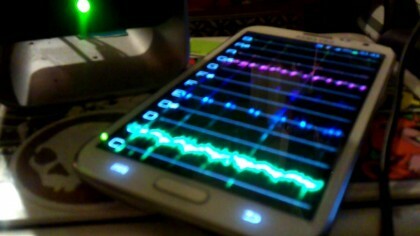 Many apps actually… The one I use is called Mobile Metronome and can be downloaded for free here. Not equipped with a smartphone? Fear not, as you can find a free and very user friendly web based metronome here. Alternatively you can go old-school and use a proper, wind-up, pendulum based metronome. I have one myself that I often use in lessons. © Copyright 2013 Nathan Churchill. Web Design Maidenhead by Square Socket.